California leads U.S. in solar installations for Q2 of 2013 | West Coast Solar, Inc.
A new report by market researcher NPD Solarbuzz says that California once again lead the U.S. in solar installations for the second quarter of 2012. The Golden State added 53 percent of all the solar power installations that were completed during the three month period from April 1 to June 30, for a total of 521 megawatts (MW) of capacity. Overall, the country installed 976 MW in the second quarter, about a 24 percent increase over the previous quarter. This was a new record for the United States, which has lagged somewhat behind Germany, Italy and China when it comes to adopting new solar energy sources. A significant chunk of these installations ground-mounted solar power, as opposed to rooftop commercial and residential systems like those that West Coast Solar constructs. In particular, the report mentions the recent completions of the California Valley Solar Ranch and various phases of projects at Topaz Solar, Antelope Valley Solar Ranch, and the Gates Solar Farm. Utility-based projects made up 59 percent of the growth, while residential and commercial installations accounted for 41 percent. While large scale solar projects are certainly an important aspect of the continued migration toward renewable energy sources, there needs to be continued investment in distributed solar infrastructure as this is the area that experiences the least amount of red tape and regulatory hiccups. The developers of major solar farms often have to deal with intense political and local opposition. 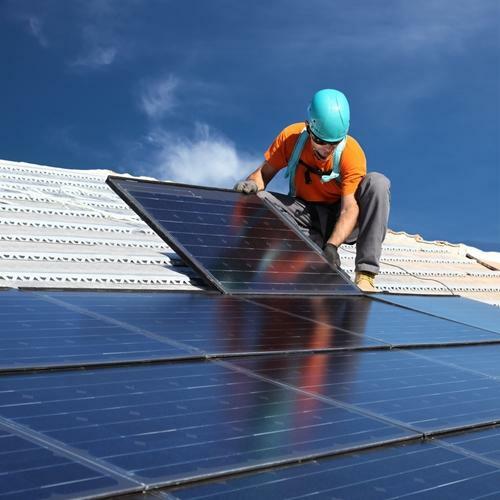 By contrast, commercial and residential solar energy solutions take only weeks to complete, and customers experience financial results immediately in the form of tax credits and net metering rebates (depending on their location). For more information, contact West Coast Solar today.